Why are all jobs on cars more complicated than you expect. All I wanted to do was pickup some power behind the dash in a 1998 300TDi Land Rover Defender 90 and I ended up having to learn how to re-synchronise the immobiliser remotes. In order to tap in to a permanent feed I had the power to the factory standard Lucas 10AS alarm system removed for perhaps 2 hours. 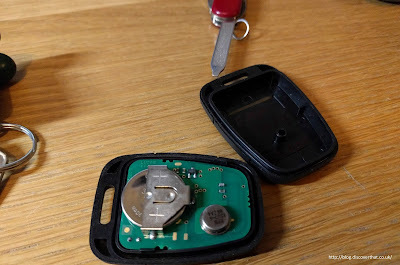 By the time I put it all together again the remotes had decided not to disable the immobiliser. I went on to the Internet to find out what I should have done when disconnecting the battery. 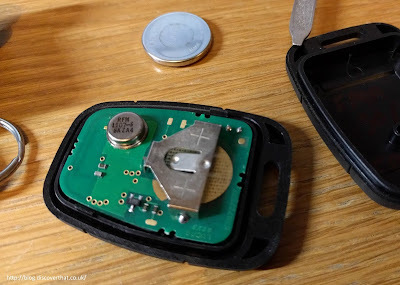 It did not take long to find out that I did not have to do anything in advance but that it was now necessary to re-sync the remotes to the alarm system. Easy, they say, just press the lock button four times quickly in a row and they will work again. WRONG, that is only partially correct for our Land Rover. 1. Shut all the doors and the bonnet of the Defender. I left the doors unlocked. All being well the indicator lamps on the dash should flash to show that the immobiliser has been disabled. The remote should now work as expected. I repeated this with the other remote and now both my remotes work. One other thing that might help. To open the remote fob, remove it from the key ring and use a small screwdriver or blade at the key ring end, slide it in to the thin slit and twist to separate the two halves of the fob. 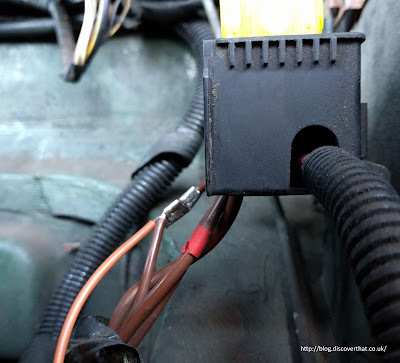 If none of that had worked, in this model Defender, there is a 'spider' box deliberately well secured in the end of the battery box that can be bypassed with a bit of re-wiring or a small plug in loom available on e-bay.